Seijiro Ito (Masaki Okada) possesses good looks, but also has an overinflated ego. He gets involved with five different women. Rio Yazaki (Fumino Kimura) is one of the women involved with Seijiro Ito. She wants to revive her career as a screenwriter, by using other people's unhappiness. 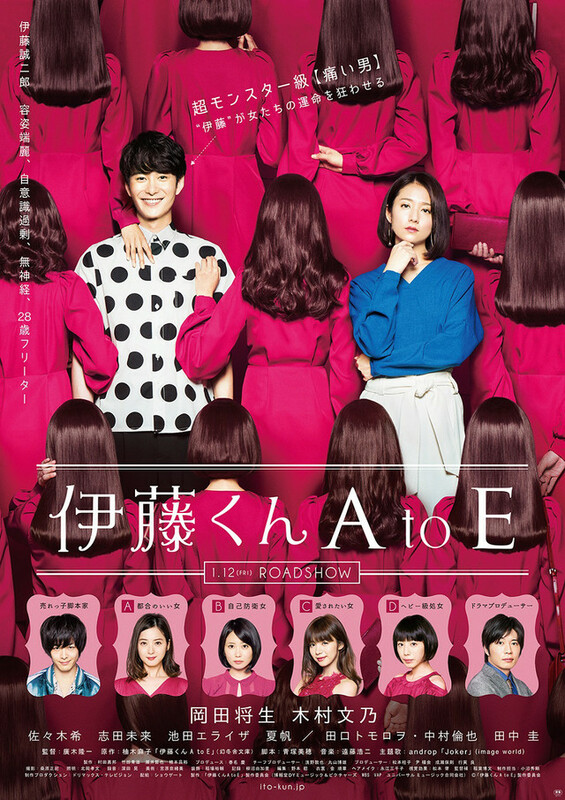 Based on novel "Ito-kun A to E" by Asako Yuzuki (published September 27, 2013 by Gentosha). Filming begins late July, 2017 and finishes in a month. jace Jun 25 2018 4:45 pm I had high hopes for the movie but it was mostly a rehashing of the drama. the confrontation between ito and rio came at the end and I really wished we got to see more of them. at least rio got a hopeful ending! salad Jun 25 2018 1:43 pm the film is finally out with subs on netflix! most of it was a recap of the drama with the final 30 mins dealing with Ito and Rio facing off. they could have done more with the movie to be honest. it was a bit disappointing that most of it was a rehash. at least the ending gave us hope for Rio. Ito....Ito was just as confusing and aggravating as ever haha. Maiko Reina Oct 29 2017 2:17 am Loved the drama sooo much, really can't wait for the movie!! Fumi May 31 2017 9:14 am Fumino Kimura! And with the handsome Masaki Okada Love seeing her projects nowadays hopefully she's the first female lead! Looking forward to this! maki May 31 2017 5:44 am Can't wait for another okada movie ? jenneevie May 31 2017 4:47 am Fumino Kimura is very lucky to be partnered with different ikemen like Masaki Okada, Kamenashi Kazuya and the doctor from A Life.